Earthmoving machine spares, Aftermarket spare parts, Replacement spares. Our team of milling and turning specialists manufacture quality replacement construction machine spare parts including aftermarket earthmoving machine spares suitable for use on Caterpillar CAT, Komatsu, Terex, Mitsubishi & Bell* earthmoving machines. Milltech Engineering has been in operation since 1978 and is considered a leader in the manufacturing of quality aftermarket spares to retailer. Milltech Engineering has the ability to manufacture a part from a sample or a drawing, ensuring our customers greater flexibility and a diverse range. Milltech makes itself available during crises' and breakdowns, providing excellent lead times and advice. To ensure product availability, a buffer stock level on our faster moving products has been implemented. Advanced technology, experience and professional know-how, ensure Milltech Engineering customers of high and consistent quality in earthmoving components including replacement earthmoving machine spare parts* for the construction industry, mining and civil industries. Milltech only manufactures quality replacement spares for the earthmoving industry to stringent specifications set out by the OEMs (Original Equipment Manufacturer). A broad range of products is carefully produced to ensure that the end product is of the highest standard and quality that Milltech strives for. All Milltech’s products are branded as e-parts. Milltech prides itself on the ability to build open and honest relationships with each and every one of its customers, as it opens communication and prevents unnecessary problems from occurring. 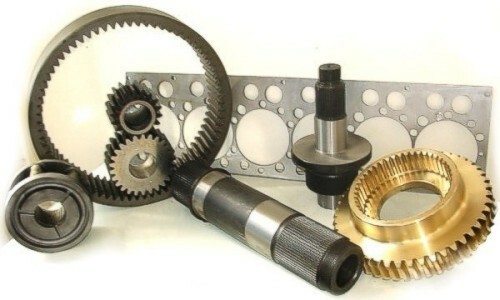 Our team of milling and turning specialists not only specialise in spares for motor grader machines ( 14h, 140g, 16g, etc ), but also have a wide range of parts for other machines. Milltech is proud to be in a position to re-invest in our employees through providing different options for social upliftment and education enhancement. We made a conscious social decision to be proactive in the New South Africa and become a model company for our employees, suppliers and customers. This has been achieved by receiving our B.E.E status (Black Economic Empowerment) and a Gold award from the Chamber Of Commerce.